Apparently all it takes is some intense staring in a $2B movie to go from zero to hero in This is Madness, the StarWars.com character tournament. After disappointing showings in previous years, Luke Skywalker not only made it to the finals, but won the whole thing, defeating previous champions Darth Vader and Obi-Wan Kenobi along the way. Newbies Rey and Kylo Ren also made quite a showing, facing off against Luke and Vader in the final four matchups. Good day! It’s your fantastic captain, Hondo Ohnaka, and now it is time to move onto phase two of our plan. In the “This Is Madness” character picking tournament on starwars.com, all those guys and ladies and droids and whatever that won in the first round have now moved onto face other guys and ladies and such who also won in the first round. So, let’s look at round two: Sixteen Strikes Back. Thursday: Light: Obi-Wan Kenobi versus R2-D2. As you know, I don’t care much for the Jedi, but Kenobi is an all right guy. He at least doesn’t hold a grudge. R2-D2, I’ve heard, can hold a grudge, and he’s just a waddling bottle opener. But maybe he knows a lot of secrets, that could be worth money. Still, I choose Kenobi: He’s smart enough to never own a droid. Or at least claim to not remember owning one. On the Dark Side, Darth Vader against Jabba the Hutt. Jabba is a fair business-slug, but I would never pick him for anything, except maybe if I needed someone sat on. Or licking envelopes. Those are probably two things Jabba can do better than Vader. Those Sith lords are certainly more frightening, but the Empire put a crimp into my lifestyle, and I do not like that. But I hear Vader likes to choke his opponents while Jabba the Hutt got choked, so picking Vader seems the most profitable. Friday: Going into weekend voting we have Emperor Palpatine vs Maul and Luke Skywalker vs Han Solo. And Batman vs Superman. While I don’t think much of politicians and old men, I do not like Maul at all. And I choose to stay alive by staying on his good side. or at least off of his list of targets. So I will pick Maul, although I’m pretty sure someone is pulling his strings. But I doubt it’s that old Emperor guy. So that Sith tattoo laser-sword monster. For the light side, we have a goody-Jedi and a smuggler. And what does that Jedi do when things get ugly? He runs away. I would never do that. Unless it was to stay alive. What does Solo do when the galaxy turns against him? He smuggles nasty rathtars! I like his spirit. Han Solo! This Is Madness: Hondo feels betrayed! Hondo here, I feel you have betrayed me, voters. I am unhappy about this, but also proud of you. You have all learned so much from me. But, I won’t give you any more of my picks for starwars.com’s This Is Madness if you just keep voting against me. This is how Team Hondo works. Captain Hondo Ohnaka, who is me, tells you who to pick. And you pick those people. No more betrayals! I do not like it, even if it makes me proud of you. So stop picking the other side, I say, and I will be content. For Tuesday, we have Rey vs Ezra on the light side. Speaking of being proud of my proteges, I feel like a papa around Ezra. He has grown so much as a pirate. But Rey is a bit of a natural pirate: I hear she stole a ship, and it was the Millennium Falcon at that! But Ezra knows to lie, even to me! So pick Ezra Bridger. And for the dark side, Boba Fett and General Hux. Boba Fett is pretty smart and carries lots of weapons. Hux is pretty smart too, and has a Starkiller Base. I don’t even know what that is. I guess it kills stars. Fool. No one lives on a star! Plus I hear his best thing to do is give speeches and babysit Kylo Ren. So Boba Fett. I met him when he was a kid – he had a lot to learn, but I hear he did pretty well for himself. Plus, he doesn’t work for the Empire or the First Order. Well, not all the time. Wednesday has the last match-ups for Round 1: The Rule of 32. The dark side has General Grievous and Agent Kallus. This should be simple. I do NOT like Grievous. He and his battle droids made a mess of my base on Florrum, and he made me look bad in front of my men. Kallus, on the other hand, did pay me some money, eventually, for helping him chase after Ezra. He didn’t catch him, but that’s my boy. So Kallus probably owes me. So pick Kallus. On the light side, we have Leia and Poe. I do not like politicians much, but I hear she’s also pretty good as a soldier, and maybe even a Jedi? But Poe – he’s a pilot, with a sweet jacket, that he gives to a new friend. I like this guy. Plus he stood up to that Kylo Ren. So a Jedi princess and a guy like me? Hmmm… I don’t know who to pick in this case. Good luck. So this is your test: no betrayals this time! Once again, it is your humble captain, Hondo Ohnaka, pirate and outstanding entre… entrepre… businessperson. 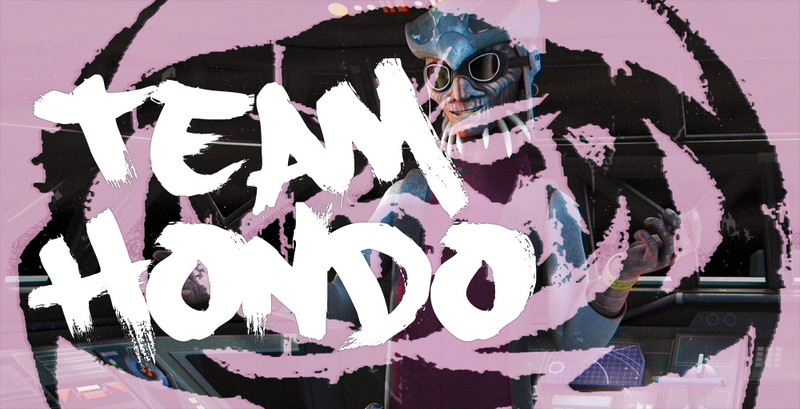 It seems that not all of you were following my leadership for starwars.com’s This Is Madness character tournament, but now that I have your attention, you can do better, and lead Hondo to victory again. To help me with today’s picks, I have enlisted Bala-Tik of the Guavian Death Gang. Despite their name, he’s actually a nice guy. On the light side, we have Yoda against Finn. Bala-Tik tells me that Finn is some fugitive that escaped with Solo and BB-8, but I heard that he’s also a traitor. And betrayal is always good in my book. I didn’t even complain too much when my own men tried to betray me to those Sith guys. Yoda, on the other hand, he’s a small Jedi, and friend to my good buddy, Obi-Wan Kenobi. So he’s probably honorable, which I hear is good for a Jedi. But let’s go with Finn – he’s taller. Maybe he’ll be a big deal someday. On the dark side, there’s Kylo Ren and Jango Fett. Jango, I knew him. He was a good hunter. Perhaps not as good as me, since I captured two Jedi and a Sith at the same time! Bala-Tik says Kylo Ren is a Sith Lord in the First Order, but likes to destroy stuff when he’s angry. Destroying stuff for fun is one thing, and for profit is even better, but just because you’re mad? That’s not good business. And it doesn’t impress your men. Plus I do not like Sith Lords, especially ones who don’t love their parents. My mother was a sweet woman. Sold me to pirates. So not Kylo Ren. Pick Jango. On Monday, we have Ahsoka vs BB-8. Gotta go with Ahsoka. I think she likes me. Although she escaped from me. Well, no matter, she’s a good person, and BB-8 is a droid. You know how I feel about those. I’d still have a great base on Florrum if it weren’t for those clankers. Ahsoka Tano. On the dark side, there is Count Dooku against Captain Phasma. I could be friends with Dooku after he escaped my capture, but then he sent those droids! Outrage! It was just business, clearly he could see that. When the Republic’s number one enemy falls into your lap, you ransom him! Phasma, I hear, is like those stormtroopers, except that she’s taller and shiny. I do like shiny. Plus she hasn’t tried to kill me. Yet. Phasma. Tell that to Kanjiklub! Now that This Is Madness has started on StarWars.com, I, Hondo Ohnaka, successful pirate, am here to tell you who to pick. Most of you seem to be Jedi reading my mind since you were able to correctly pick for Day 1. Day 1 was Obi-Wan Kenobi against Padme Amidala, and Darth Vader against the Fifth Brother. As you know, Kenobi and I go back quite a ways, and I’m pretty sure we are still friends. He’s honorable for a Jedi, and it looks like he picked up the win. Darth Vader vs. the Fifth Brother. There’s a reason you give someone the title of Fifth Brother. Like First Senator or henchman 21, it shows where you fit in the order. And Darth Vader? I hear he’s the Emperor’s Number One. So yeah, not a surprise at all that Vader beat out a fifth tier baddie. Onto the current matches. Today we have Skywalker’s droid, R2-D2, against one of Ezra’s crew, Sabine Wren. She seems to be quite the demolitions expert and the artiste. I can admire that. Sometimes I like to blow stuff up. Especially stuff that doesn’t belong to me. Droids, on the other hand, bah! Vizago uses droids, but not me. Vote Sabine! On the dark side, we have Jabba the Hutt and the Seventh Sister. Jabba thinks he’s all powerful, but he threw in with those two horn-heads who had wrecked my already wrecked base, and got many of my men to revolt. So I’m not for Jabba at all. The Seventh Sister? She looks like trouble. My kind of trouble. So I’ll go with her. Plus she has one of those laser swords. Those are pretty neat. Tomorrow, we have Luke Skywalker versus Hera Syndulla for the Light Side. Man, the Ghost crew is put up against some tough players. Hera was nice enough to let me tell a story of how I saved Ezra and a load of generators for her rebel crew, so that is important to me. But Luke – he’s got one of those laser swords, and get this – his last name is Skywalker. I knew another Skywalker, and he seemed like a decent guy, when he wasn’t trying to escape from my prison. So Luke will probably win whether you pick him or not. On the dark side, Emperor Palpatine against Asajj Ventress. The Empire had made my life miserable. I once had my own crew, my own fleet, and a great base. Under the Empire, I have this box of credits. Not good business. Ventress, on the other hand, she seems like a formidable foe – I hear she has fought plenty of Sith and Jedi and lived to tell the tale. Vote Asajj Ventress. After that, we have Chewbacca against Han Solo and Tarkin against Maul. Well, you know how much I hate Maul. He and his brother… you know the tale. So Tarkin for sure. But Solo and the Wookiee? Han is more the pirate, but Chewbacca did help Ahsoka once escape from slavers, and Ahsoka turned out to be okay in the end. And Wookiees could rip me apart. Chewbacca. On second thought, Maul. If he heard I told you to pick Tarkin, he might come after me, and I don’t need that. Hello again, my friends! This is your old pal, Hondo Ohnaka. It is that time of year again, when StarWars.com does their annual “This Is Madness” character picking tournament, and for this fourth year, they have decided to not invite me to their competition at all. They even accused me of trying to rig the game last year, with that Jar Jar Binks auto-robot-stuff. Scurrilous lies, I tell you. I am outraged. I would never rig an election – it’s too time consuming, a pirate like myself would simply declare Hondo Ohnaka the winner and have enough big guns handy to get everyone to agree. Anyway, it also appears that my big guns are gone – have you seen my predicament on that Rebels show now? Ezra is a fine lad, and may make a great pirate Jedi yet, but he’s no replacement for a crew. Or a base. Or a ship. At least I have my memories of good times. Some of them might even be true. Speaking of memories, please take this trip down memory lane with this great article of my personal wit and wisdom. The author of that piece clearly knows a man of keen intellect and business sense, and I hear he is also a Team Hondo supporter and is also very handsome. Onto this year’s “This Is Madness.” It starts on Monday at starwars.com/this-is-madness, and there’s some sort of contest for correctly picking the winners in each round. Nonsense, I say. That’s too much work for so little profit. Also, I am still angry that I was not invited this time. What did I do to those StarWars.com people, anyway? It’s not like I stole their droid. I don’t even like droids. Where was I? They added some new characters to the brackets this time, based on the latest season of Rebels (which I am in. Twice! And yet I am not included! Very well, I will not include them! Is there an opposite to include?) and from the new movie, The Force Awakens. I hear it made a kerjillion credits, but I haven’t seen it yet. So to help me with those picks, I’ve recruited Bala-Tik of the Guavian Death Gang to fill me in. In years past, those voom-voom Jedi and Sith have won, but I think this year, it is time for a real hero to win. Me! Ha-ha! Okay, not me. On the light side, I predict going into the finals will be Han Solo versus Rey. And on the dark side, it will be Darth Vader (who won last time) and Kylo Ren or Agent Kallus. In the end, the light side will win, whether it is that Solo guy or the newcomer, Rey. I hear she knows how to do a mind trick. Stay tuned for my individual round picks. I am too indignant right now at being not invited to consider who Team Hondo should vote for in each of these starting rounds. Darth Vader finally won This Is Madness on his third trip to the final bracket, defeating last year’s champ, Obi-Wan. Here’s hoping The Force Awakens really does a number on fandom next year, because when the most exciting thing that happens in the brackets is a Jar Jar cheating scandal, things may need shaking up. Padme is losing to Jar Jar (by a lot) in This is Madness. Ridiculous.